Born in banjar Kutuh Kaja, Petulu, Ubud, on the 31st of December 1965. From 1975 through 1982 he learned to paint from I Nyoman Lesug. Though his basic knowledge and skills in painting were quite sound already, he kept his desire to learn more. That led him to enroll at the SMSR (Senior High School for Art) in Denpasar. 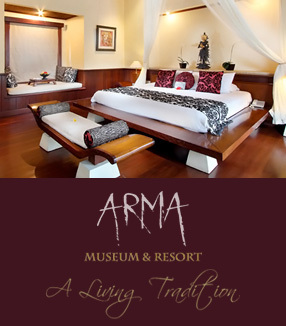 His works are interesting so that Museum ARMA-Ubud keeps some of them. He has taken parts in exhibitions at museum Rudana-Ubud, Museum ARMA-Ubud, and Taman Budaya-Denpasar. He is always actively involved in annual Bali Arts Festivals.